Chelsea have reportedly rejected a £40million transfer bid from Sevilla for Alvaro Morata, who is now in talks with Atletico Madrid. 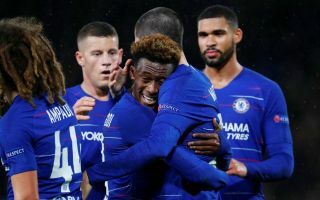 The Spain international seems likely to leave Stamford Bridge before the end of the month after a nightmare spell in the Premier League, and it seems a return to La Liga is on the cards. The Evening Standard report that Chelsea rejected Sevilla’s offer of a combined £40m to be paid in two instalments, which means they now seem to be out of the running. Instead, Morata could make his way back to Madrid after Atletico entered into talks for the 26-year-old, according to Sky Sports. Chelsea fans will no doubt be desperate to see this deal work out, with the Blues surely unable to keep faith in this flop signing for much longer. The Blues urgently need a top centre-forward, but selling Morata first would surely help them afford a player good enough. As noted by Sky Sports, AC Milan striker Gonzalo Higuain is one of CFC’s main targets for that position, and it seems clear he’d be a major upgrade given their respective scoring records in recent times.